Photo courtesy of daughter Mollie McKool. "...I feel that I possibly owe my life to General Mihailovich and his Chetniks and I want to do everything I can to help him in his approaching trial. In this I’m sure I am expressing the feelings of hundreds of other American airmen who were aided by the Chetniks. "Here’s what I would like for you to do, Mr. President. Please let me know how I can best use my personal knowledge and experience to help General Mihailovich. Justice and fair play demand that all sides of this case be presented to the court so it can reach a just decision..."
Aleksandra's Note: On May 13, 1946, the Committee for a Fair Trial for General Mihailovich announced that a "Commission of Inquiry" had been established in New York for the purpose of taking the testimonies of American officers and airmen whose request to be heard as witnesses at the trial of General Draza Mihailovich in Belgrade, Yugoslavia had been refused by the Tito government. 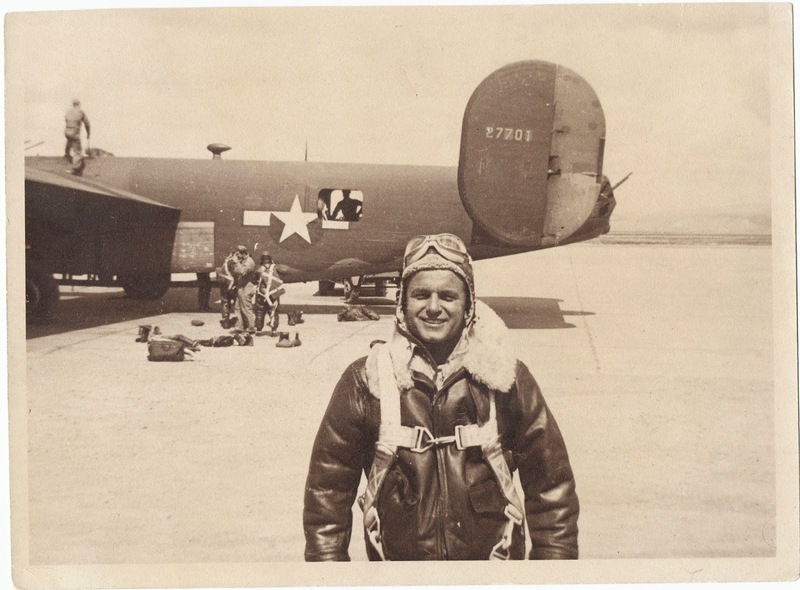 The following is the testimony of Sergeant Mike McKool from Dallas, Texas, one of the hundreds of American and Allied Airmen who had been rescued from Nazi-occupied territory in the former Yugoslavia via the Halyard Mission Rescue Operation. He gave this testimony at the Commission of Inquiry hearings in New York on May 16, 1946. Sergeant McKool was one of several witnesses to give their testimonies that month of May in the sincere hope that it would make a difference in the fate of General Draza Mihailovich. It is testimonies such as this that reveal just what kind of people General Mihailovich and his Chetniks were in WWII Yugoslavia. American and Allied WWII veterans who never forgot what the great General and his Chetniks and the Serbian people did for them. I am especially grateful that the "Commission of Inquiry" was successfully initiated in the spring of 1946 and that the live testimonies of the rescued airmen were recorded and saved for posterity. They were the witnesses to history, and they spoke the truth. Present: Arthur Garfield Hays, Esq., member of the Commission of Inquiry; Porter R. Chandler, Esq., and William H. Timbers, Esq. Q: Sergeant McKool, where do you hail from? Q: Did you come all the way from Dallas to testify in these proceedings? Q: And you expect to go back this afternoon on the plane? A: I do, sir, just as soon as I can get out. Q: If you were given an opportunity to testify at General Mihailovich’s treason trial the same way you are going to testify here, would you do so? Q: And why do you want to do that? A: I feel that that is the least I can do for General Mihailovich, after what he has done for me. I really believe that he and his Chetniks saved my life, and if I could pay that debt I would have every reason to do it for that reason, and also for the reason that justice and fair play would demand it. Q: What is your profession? A: I am a lawyer, sir. Q: Do you practice in Texas? A: Yes, sir, I do. Q: When did you enlist in the Army? A: In 1943, July 24th. Q: And is it true that within less than a year after your enlistment in the Army you found yourself parachuting into Yugoslavia from a disabled American plane? A: Yes, sir, I spent my first anniversary in the Army there in Yugoslavia. Q: Tell us very briefly what your experience in the Army was prior to the mission which resulted in your landing in Yugoslavia. 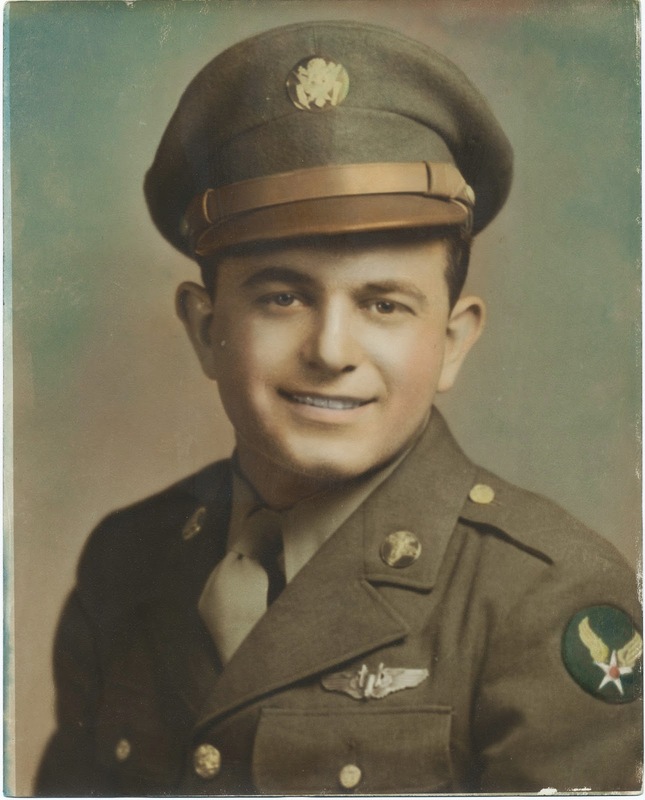 A: I took my reception center training at Camp Walters, Texas; then I was sent to Sheppard Field for basic training, then was sent to the Las Vegas, Nevada, gunnery school, and then to Boise, Idaho, for overseas training, and then ultimately with the 15th Air Force. Q: What date did you parachute into Yugoslavia? Q: Where was your mission headed for? A: Romania, sir; there was a bridge at Pitisti, Romania, about 30 miles from Ploesti. Q: What was your job on the plane? Q: Was it July 4th or June 4th? Q: Had you completed your mission before you had to parachute into Yugoslavia? A: No, sir, we were about 175 miles inside of Yugoslavia when two of our engines went out at the same time. Q: You were on your way to the target? A: Yes, sir, we were on our way to the target. A: From Manduria. When the two engines went out we had to turn out of the formation, and of course at the time a group of fighter planes were following us, as they usually did, waiting until after you had gone over the target until they began to attack the injured ships. And when we turned out of the formation we turned right into them. It was not any time before they shot out the third engine and we were parachuting down. Q: Where did you land? A: I landed at Lapovo. Q: Would you, Sergeant go up and put a little red pin on that map at the point where you landed? Suppose you point it out on the map up there and then put a pin on the smaller map. A: It is about 50 miles south of Belgrade. It is a pretty good size town there; they had a large German garrison. Q: Perhaps it might be easier to find it on that smaller map. We want just the approximate location, if you cannot find the precise town. A: It must be right in here. Q: Between Belgrade and Kragujevac? Q: Was this place where you landed in Mihailovich’s territory? Q: Tell us in your own way what happened when you landed. A: First of all, in our base in Italy we were briefed the same way that these other crews were, and that is that General Mihailovich was aiding and collaborating with the Germans and that we should stay away from him and only seek the Partisans. When I landed I landed at the bottom of a hill, and right away the people, about 15 or 20, began to come around me in a circle with pitchforks and sickles and two by fours and just about everything imaginable. And they stopped, and then the men began to tip their hats in a friendly gesture, and when I put my 45 back in the holster they came up and kissed me on each cheek. And then they said “Americans?” “English?” When I told them I was an American they kissed me again. Q: Were you on the same plane as Sergeant Brown who just testified? A: Oh, no sir, he was about six months ahead of me. And then one of the men, one of the Chetniks there, began to swing his arms around yelling at the people, and they began to disband, except for him and another fellow who carried my parachute, and they wanted to take me away from the hill where I landed—“Idu—Idu—Germans—Germans.” [“The Germans are coming”] And I did not want to go away from the hill because I had seen one of my buddies parachute half way up the hill. When I did not follow them, why then they followed me, and went half way up the hill, and he said he saw another chute on the top of the hill, and we ran up to the top of the hill where our ball gunner was, and the Chetniks were getting pretty impatient, calling “Idu—Idu,” and we said we have got to take these heavy clothes off, and they went back into the trees about 25 yards or so behind us; and just as we got our clothes off we heard someone down at the bottom of the hill holler “Halt.” And we stood up and saw about eight or ten German soldiers there, and we put our hands up. Then they started to run up the hill. When they did, all three of us got the same idea at the time, if they run all the way up the hill they would be all tired out too, and the Germans were shooting at us all the time, knocking down the branches and the bark off the trees above us; but when we got to the trees the Chetniks were there waiting for us, and then they guided us over the hills and valleys and mountains and everything else for about 6 or 7 straight hours, taking us away from the Germans. Q: How many were in that group? A: Three, but all ten of my crew were saved by the Chetniks. Q: Where were you eventually taken at the end of this six hour walk? A: We were taken to the back hills. That was Captain Milankovic, he was the brigade commander for that area. A: Yes, sir, he was. Q: What happened to you there? A: Well, we stayed there, sir, for about 3 days, 2 days or 3 days, until they got my whole crew together; we bailed out over an area of 30 miles apart and it took 3 days for them to get the crew there. But the second day we were there Captain Milankovic told me that 20 peasants from that area where I and my other two crewmates landed, were taken as hostages, and when they would not tell where we were they took 20 hostages out, and ten of them were executed. Q: The ten were executed by the Germans when the peasants refused to disclose your whereabouts? A: That is true, sir. Q: How much time altogether did you spend in Yugoslavia? A: I spent 38 days there, sir. Q: How did you spend most of that time? A: Most of that time was spent staying away from the Germans, that is just on the move all the time. Q: And what was your ultimate destination, where were you moved to? A: We were moved to General Mihailovich’s headquarters. All of the brigade commandants apparently had instructions to send all American airmen to General Mihailovich, and they were sending us there to the American mission, but they had not at that time, and this was after July 4th, they had not received information that the mission had left Yugoslavia, they had left there May 29th. So they were still following the instructions of carrying American airmen to General Mihailovich. Q: Where eventually were you evacuated from? A: From the Pranjani air strip. A: That was August 10, 1944, that big evacuation under the leadership of George Musulin. Q: How far were Mihailovich’s headquarters from the place where you landed? A: It must have been sone 70 or 80 miles, sir. But the way we went it was probably about 300 miles. Q: You say you were trying to keep away from the Germans. Was there any fighting between the Germans and the Chetniks while you were with the Chetniks? A: The only fighting was when the Chetniks had to rescue us from the Germans; a group of Chetniks had to fight off the German patrol to save one of my crew, and most of the fighting was done in saving us. But it looked like there would be fighting when we had to cross railroads or highways. At one, a German motorized detachment in armored cars passed a short distance from us. Q: Where were the Germans located at this time? A: They were in all the towns. The areas they were in they were patrolling. They never could have captured the hillsides, that was just too much. Q: Did you see any towns that were destroyed by the Germans? A: Oh yes, I passed through the town of Gornji Milanovac. Here it is right here. It is directly south from Belgrade. Q: About how many miles would you say? A: I would say that is about 40 or 50 miles south. Q: Tell us what you saw there. A: At that time I was traveling with a band of 800 Chetniks, I was under their guard for about three weeks. Q: Were any other members of your crew with you at that time? A: Oh yes, the other ten were with us at this time. And the captain prima classa who was the leader of this group used to call me Tom Mix, and let me ride alongside of him during this whole march. And while we were passing through this town of Gornji Milanovac he told me that at this point a band of German soldiers were ambushed and wiped out by the Chetniks. Q: How long prior to the time you were walking through did this happen, do you know? A: No, sir, I do not, but it could not have been very long, because some of the other boys passed through it four or five months prior to me, and it was still a town that was not burned down, it was still as it was. And the captain told me that after this band of German soldiers were ambushed the Germans sent a stronger garrison there to show these people a thing or two, to seek revenge against them. So what the Germans did was to get as many of the inhabitants of this town together as they could, and this captain told me there were 2,000 of them, and they took them out in groups and made one group dig their graves first, and they lined them up and shot them down, and then had the next group do the same thing, until they killed all the inhabitants that they had under their control. Q: These 800 Chetniks that were with you, were they doing anything but protecting the Americans? A: These Chetniks that were with us were on their way to Mihailovich’s headquarters; I do not know whether they were getting a rest, but they were going to Mihailovich’s headquarters. We would not have needed that large number to protect us, but we were traveling with them because they were going in our direction. Q: How long a time did you spend at the place that was Mihailovich’s headquarters? A: Do you mean in his headquarters? A: Well, his headquarters at that time were around in the vicinity of Pranjani, which was the place where this evacuation airstrip was located. And I was in the area of his headquarters for some two or three weeks—about three weeks, sir. Q: Did you get any idea about the size of Mihailovich’s forces? A: No, sir, only the number of men that I actually saw myself, sir. And this band of 800 men that I was traveling with seemed a lot larger than 800 when they would wind around these pathways, you could see them for miles and miles. Q: Did you have occasion to meet General Mihailovich personally? A: Yes, sir, I did, I met him at the Pranjani area. Q: What did he say on that occasion if anything? A: He did not speak to me. He was just introduced to us boys and we shook his hand at that particular time. We were at the airstrip waiting for brother George to come in. Q: By “brother George” you mean Captain Musulin? A: Yes, sir, Captain Musulin. Q: During the course of this walk or march to the point where you were evacuated did you see any collaboration between the Chetniks and the Germans? A: No, sir, I did not see one single thing. Q: Were you looking for such? A: Yes, I was looking for it, mainly because I was briefed not to go with the Chetniks, to avoid them; and of course when they took us in and treated us so nicely I began to wonder if there was a trick in it somewhere, that maybe this Mihailovich fellow was kidnapping us to try to get something on the side. So all the time I was there until Captain Musulin came in I was sort of skeptical and tried to keep my eyes and ears open at all times. Q: Your briefing came from the American Army authorities I assume? Q: They were the people that told you that Mihailovich was unfriendly but Tito was friendly? Q: Did you have occasion to talk with any of the Chetnik peasants during this trip? A: Yes, when we were traveling with these soldiers, at the time when I was not with the captain I was back with the soldiers, and I was interested in the common everyday things of Yugoslavia, and I liked to try to make it a point to spend a great deal of time with them. And I ate what they ate and slept where they slept. And I did come into very close contact with them during that 3 weeks’ march we had. Q: Did you also have occasion to talk to the plain people, the peasants through the district where you walked? A: Yes, I used to make it a point to stop at farmhouses, and of course we could wander off wherever we wanted, our movements were never hindered; in fact if we wanted to walk to the coast we could have done it; in fact two of my crewmates decided after a few days that we were not going to get out of there before winter, and they started walking for the coast, and they walked some 40 miles or so before the commandant told them that there were some DC-3’s coming in, that General Mihailovich had just received a telegram, and that if they wanted to go back he would furnish them a guard, which he did do. That was the experience of my bombardier and engineer. They came back with the crew. Q: Did any of the Chetnik peasants tell you of any contact they had had with the German combat troops? A: Yes, all through the march through Yugoslavia the only system of communication that they had there was through the grapevine method, and they would always know that we were coming, and they would line up on the roadways to see these Americans. To most of these people they were the first Americans that they had ever seen, and so they were always there to see us. And on numerous occasions women, especially old women, would come up to us and kiss our hands and cry out their hearts. Of course we could not understand what they were saying, but through interpreters we were told that they were telling us that they had lost their sons in the war or that their daughters had been carried off by the Germans or that their homes had been burned by the Germans, or that their sons were taken to the forced labor camps, and things likethat. And also while I was there I had a chance at one time while I was on one hill to see a group of Germans passing over at another hill, making their periodic rounds of the farmhouses; they used to go around these farmhouses and take so much livestock, so much vegetables, fruit, whatever the people had; and then they would give the people a German I.O.U. for whatever they took. And if any of the people objected, these peasants were then questioning the authority of the German government, and they were lined up and shot. Q: Did you talk with any other members of your crew or other American airmen when you got to Pranjani, to see whether they had had similar experiences and similar reactions to yours? A: Oh yes, sir. At one time we had as many as about 100 or 150 of us Americans together, we used to be in just about the same area, and whenever anything of importance would come up, for instance when we were waiting for George Musulin to come to be our commanding American officer, they would call us together for a meeting, and sometimes we would be together for 3 or 4 hours. Of course we always talked among ourselves about our experiences. And I would say that the experiences of all the American boys there were very similar, in fact so similar that you would think that it was just the same person going through all the parts of Yugoslavia. Q: What were the Chetniks doing all this time, were they just sitting around or were they engaged in any military activities? A: Do you mean were they fighting openly? Q: Were they doing anything, any sabotage? A: I do not know about the sabotage part. There were not any Partisans in the area where I was. Q: There were Germans there? Q: And there were German communications there, there were railroads, were there not? Q: And telegraph lines, and there were small German garrisons Here and there? Q: What I am wondering about is what the Chetniks were there for, were they really engaged in some activity? A: They were engaged, sir, in just about what activities they could be engaged in. A: Well, for example, if they tore out a section of a railroad—I asked the captain that once while we were crossing a railroad; he said if he tore out this section it would not be but a matter of hours before the Germans would be able to replace that section, and on top of that the Germans would gather the people in the area in which that section was torn out, and they would wreak revenge on those people, they would pick up so many of them and execute them. And he said there was not any point in knocking out section by section, they would have to wait until they got enough arms and ammunition to really fight off the Germans. Q: Did you hear of any fighting that had been done. A: I did not see any, but I had heard of it. I even saw Chetniks with German shoes and German jackets and German pants; in fact there was not anything more valuable than a pair of German shoes in Yugoslavia. These Chetniks would get these clothes by surprising German soldiers. They would not shoot them because that would spoil the uniform, they sneaked up and strangled them. Q: Did the Chetniks go after the Germans in the hills? A: No, the German units would always come over in armored cars or in lorries in which they would have radios; and if any trouble sprang up anywhere through that area it would not be but a matter of an hour or so before they would really be reinforced. Q: I can see plenty of reasons for inactivity, but I was wondering what the Chetniks were doing in 1944 while you were there. Were they just waiting for reinforcements and ammunition? A: We were really not in the battleground; the fighting I was told was further to the north and to the east, and I was in the southern part. Q: Do you mean the fighting by the Chetniks? A: Yes, the fighting by the Chetniks. Q: And they had larger forces in the other section? A: I was near Mihailovich’s headquarters, and they could not afford to attack in that area because they would put in more German troops in that area. Q: In this other area where you understood fighting took place, was it fighting in battle against the Germans, was it sabotage or what was it? Would not the same considerations apply, that if the Chetniks did anything there would be reprisals taken against the people? A: There was more reason for not doing it in the Pranjani area. For security reasons the General wanted to keep that area clear of Germans. Q: When you say “the General” you are referring to General Mihailovich? A: That is right. That was the first area where these Americans could be evacuated; and of course if you would start something there and the Germans would come in and garrison that area there would be no airfield to get these boys out. Q: Do you know how long this had been the headquarters of Mihailovich? Q: Do you gather it was a short time or a long time? A: I understand that he was always on the move, that he did not stay put in any one place. Q: Did you have any orders or instructions with respect to participating in any fighting in Yugoslavia or in any other occupied country in the event that you were then there? A: I do not follow you. Q: Were you expected, as an airman, to join in the resistance? Q: No, the American Army. A: No, our first objective was to get back to our base, to keep from being captured. Q: The point is that assistance with respect to acts of resistance by the Chetniks against the Germans was not really within your province, is that so? Q: And an American intelligence officer who was in there for the purpose of getting that information would be in a better position to testify to that? Q: Your job was to get back into the air and fight the war in the air? Q: And for that reason you stayed just as far away from the fighting as you could? Q: All the airmen did, is that right? Q: Sergeant, did you see any German equipment in wholesale quantities used by the Chetniks while you were in Mihailovich’s territory? A: No, sir, I did not see any equipment. The only equipment that I saw was the pairs of shoes or the shirts or the pants that the Chetniks got by killing Germans. Q: Did you see any medical equipment of German source being used by the Chetniks? A: No, sir. I had occasion to go to the Pranjani hospital when I sprained my ankle, and there was not any medical supplies at all in the hospital; in fact the doctor had to wrap up my leg with a strip from my long underwear. Q: Did you see in this territory any posters by the Germans offering rewards for the return of Allied airmen to the Germans? A: Yes, sir, some of the American airmen there had posters which they picked up in their travels, and these posters offered rewards for American airmen who were turned over to the German command. Q: Did you write a letter dated March 25, 1946, to President Truman setting forth in substance the testimony which you have given today? Q: Was it later read into the Congressional Record on May 2,  by Senator O’Daniel of Texas? MR. TIMBERS: I would like to have that portion of the Congressional Record marked in evidence at this time. MR. HAYS: I would like the record [Commission of Inquiry record] to show that the Congressional Record of May 2nd, 1946, which contains a statement of proceedings in the Senate of the United States, contains a statement by Senator O’Daniel, and in connection with the statement Senator O’Daniel quoted a letter to the President of the United States written by the witness. In this connection I suggest that a photostatic copy of this be attached to the record. At this time a short recess was taken. It is not often, Mr. President, that the average citizen writes you. But I feel you are in a much better position to help me than anyone else. Here is my problem: On February 5, 1946, there appeared in my local newspaper, the Daily Times Herald, an Associated Press story which stated that the Russians at Nuremberg were preparing evidence for the coming trial of General Draza Mihailovich, the leader of the Chetnik forces in Yugoslavia. The Russian prosecutors are claiming that General Mihailovich aided the Germans during the war. And today, March 25,  in the Dallas Morning News a Reuter’s story revealed that General Mihailovich had been arrested. In 1944 I was a tail gunner on a B-24 in the Fifteenth Air Force in Italy, and the rumors circulating among our boys at the time were to the effect that “the Chetniks were cooperating with the Germans; that they were our enemies; that they would turn over all Americans to the Germans,” etc. On July 4, 1944, my crew was forced to bail out over “Yugo.” The Chetniks rescued me and my crew from the Germans. When the Germans didn’t catch any of us Americans, they took twenty hostages from among the peasants in the area, all of whom were sympathizers of the Chetniks. Ten of these hostages were shot when the Germans couldn’t get any information from them as to where we escaped—and more than likely they didn’t know. Is it possible that these Chetniks and their sympathizers would aid and cooperate with the Germans? I walked some 500 miles during my 38 days with the Chetniks, and I had the opportunity to meet a lot of them. Very frequently during our travels we met women—old women—who on finding out we were Americans would kiss our hands and cry their hearts out to us. The story would nearly be the same every time—the Germans killed her sons, or carried her daughters away, or sent her sons to concentration camps or forced labor battalions, or burned her home…Is it possible that these Chetniks and their sympathizers would aid and cooperate with the Germans? Once I passed through a small town by the name of Gornji Milanovac which in normal times had a population of about 3,000. But when I passed through it, the entire town, with the exception of a church, was completely burned to the ground—and I mean “to the ground,” with flame throwers. The reason? A group of German soldiers were ambushed and wiped out near the town by the Chetniks. A strong German garrison was sent to seek revenge, which they did by killing all the inhabitants they could catch and burning out their city with flame throwers. Is it possible that these Chetniks and their sympathizers would aid and cooperate with the Germans? The Chetniks took just as terrific a beating from the Germans as did any other group of people. They rescued and cared for hundreds and hundreds of other Americans like myself. In my group alone, which was evacuated from “Yugo” on August 9-10, 1944, there were nearly 200 Americans and a few Englishmen, a few Frenchmen, a few Italians, and even a few Russians who were aided by the Chetniks. Is it possible that these Chetniks who aided all these Allied soldiers would aid and cooperate with the Germans? While under their care, the Chetniks gave us everything they had to make us comfortable, even though they didn’t have but very little to offer. Many a time they gave us their last sip of “rakiya” (whisky made from plums), last loaf of bread, last bit of cheese, etc. Whenever we were lucky enough to stay in a home, they gave us their own beds and they slept on the floor. Is it possible that these Chetniks and their sympathizers would aid and cooperate with the Germans? I feel that I possibly owe my life to General Mihailovich and his Chetniks and I want to do everything I can to help him in his approaching trial. In this I’m sure I am expressing the feelings of hundreds of other American airmen who were aided by the Chetniks. Here’s what I would like for you to do, Mr. President. Please let me know how I can best use my personal knowledge and experience to help General Mihailovich. Justice and fair play demand that all sides of this case be presented to the court so it can reach a just decision. I would be more than glad to go to Nuremberg, Germany, at my own expense as a witness, on behalf of General Mihailovich. I would also be willing to aid in Mihailovich’s defense if I could be of any help to him. I took my Texas State bar examination last month, but it will be two more weeks before I hear whether I am or am not a lawyer. Please let me know, Mr. President, whether or not I will be able to submit a deposition for the trial; whether or not I will be able to get priority for air travel to Nuremberg if I could be of aid to General Mihailovich’s defense; and also, how and where I will be able to get in touch with General Mihailovich’s counsel. Q: Sergeant McKool, coming back for one moment to the line of inquiry before the recess as to what the Chetnik soldiers around Pranjani were doing, can you tell us approximately how many airmen had been accumulated there for evacuation? A: Yes, sir, there were 200 American airmen and approximately 80 Allied airmen, that is English, French, Italian and Canadian, and even Russian. Q: And were there certain security measures being taken by these Chetnik soldiers to safeguard and protect you airmen? A: Oh, yes, sir, I would say at all times they had several hundred Chetniks guarding us, that is several hundred that I saw near us. I do not know how many others may have been further away from us. Q: Did you during the time you were in Yugoslavia keep a day-by-day diary of what you saw, what people said, the places you went? A: I did, sir. Three days after I got down in Yugoslavia I began writing a day-by-day diary on wrapping paper, and six days after I was there I had this little Yugoslav book given to me, and I transferred everything from the wrapping paper into this book, and then continued each day to write in the happenings of that day. Q: Does that contemporaneous record substantiate your testimony here today? Q: And if you were called upon to testify at General Mihailovich’s treason trial in Belgrade would that contemporaneous record be available to that tribunal? MR. HAYS: May I suggest that the witness read one excerpt from that memorandum book, so that we get some idea of entries that it contains. THE WITNESS: All right, sir. Is there any particular date you want read? BY MR. HAYS: No, just pick out some day at random. A: (Reading): July 11,  Tuesday, 8th day. Ate breakfast at schoolhouse. School children had holiday this morning. Started out on our way at noon for back hills. Sure went across some very big hills. One American dollar is worth 1,200 Serbian dinars. We bought toothbrushes, paste, writing paper. At many places they have a priest to bless the food and speak, and it is translated by our interpreters. Dr. Stew who is our interpreter is 28, very nice; went to medical school in France and Germany, practiced about 4 years before the war in Belgrade, carries a 6 shooter, is well liked by everyone. We arrived in the small village of Pranjani at dusk. Willstay on farm about 2 miles from the village until plane comes to pick us up. We slept in small room on the floor. Very crowded. Some of us had to sleep on our sides. Q: Where were the Mihailovich headquarters, in what section of Yugoslavia, at that time? A: The Pranjani area, sir. Q: Has any force or duress of any sort been exerted upon you to get you to testify here today? Q: It was done of your own free will and volition? COMMISSION OF INQUIRY TESTIMONY OF SERGEANT MIKE MCKOOL CONCLUDED - May 16, 1946. Mike McKool (1918-2003) — of Texas. Born in Mexico City (Ciudad de México), Distrito Federal, December 30, 1918. Democrat. Naturalized U.S. citizen; served in the U.S. Army Air Force in World War II; lawyer; member of Texas state senate, 1969-72; candidate for U.S. Representative from Texas 5th District, 1974; chair of Dallas County Democratic Party, 1984-86. Catholic. Lebanese ancestry. As state senator, set a filibuster record by speaking nonstop for 42 hours and 33 minutes in support of funding for mental health and retardation. Died in Dallas, Dallas County, Tex., February 22, 2003 (age 84 years, 54 days). Entombed in mausoleum at Calvary Hill Cemetery.